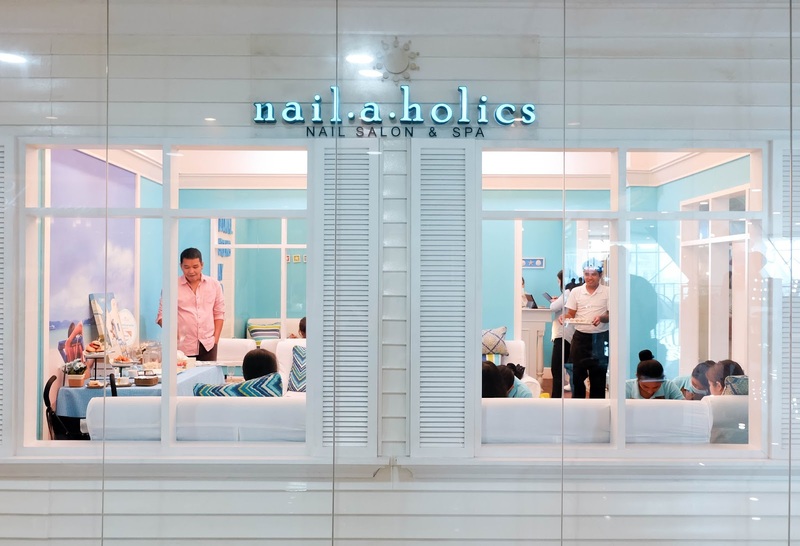 When it comes to pampering on a national scale, Nailaholics Nail Salon and Spa holds the only spot. 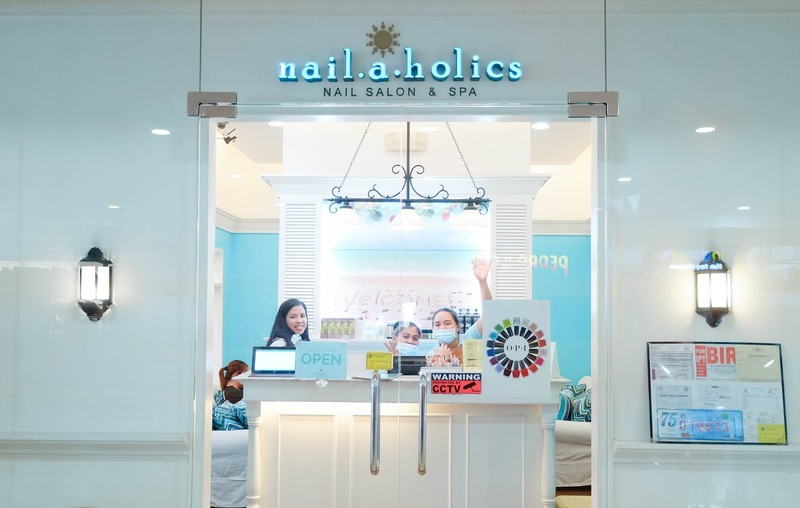 After introducing the celebration of the #NationalPamperingDay last year, Nailaholics is back at it again this 2017 with an amplified nationwide celebration of relaxation that everyone is looking forward to this October 17. I was one of the lucky ones who got to try their pampering services this year during the Blogger's Party at Nailaholics Fishermall branch. 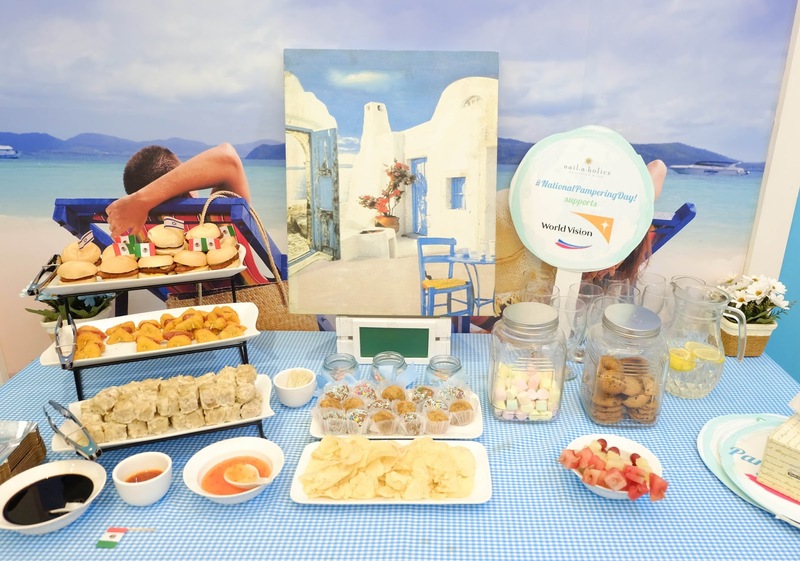 We were welcomed by the enthusiastic staff and nail technicians of Nailaholics and lead us to the lounge where I met other bloggers over some snacks and drinks prepared for us. We were given sets of services to choose from, and since I wanted to try something new, I decided to go for the O.P.I. manicure and pedicure with hand & foot Paraffin. It was my first time to experience submerging my hands and feet into a hot tub of paraffin wax. Diane, my nail technician, said that it's good for proper blood circulation and moisture of the skin. A much needed treatment especially for my overly-exhausted feet. This was where I also realized that I actually have high pain tolerance (also according to the nail technicians) as I gave no reaction whenever they dip my hands and feet into the hot wax mixture. Haha. I must say I really did enjoy this experience! With the success of last year's National Pampering Day, Nailaholics is back this year with a bigger and much more enjoyable day of pampering. In partnership with the number one salon brand and most beloved nail lacquer brand in the world, O.P.I., National Pampering Day 2017 will accommodate more guests with the extension of pampering time until 1PM. 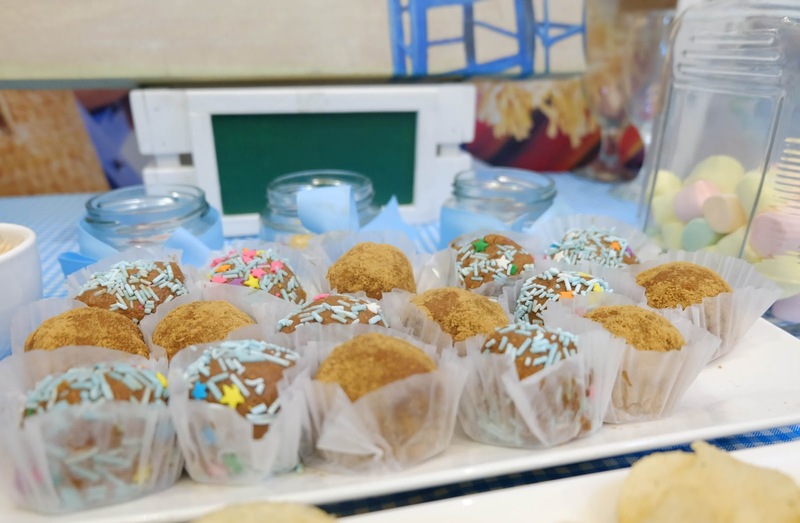 Also, the best thing about this year’s National Pampering Day is that it will be in support to World Vision, The Philippine Animal Welfare Society (PAWS), and Save Philippine Seas. So save the date and get ready to park away any thoughts of work because the only responsibility you have is to loosen up! Wind down and head to any Nailaholics Nail Salon and Spa branch on October 17, 2017 (Tuesday) from 10 AM to 1 PM and get yourself a free relaxing manicure, foot spa or foot massage.